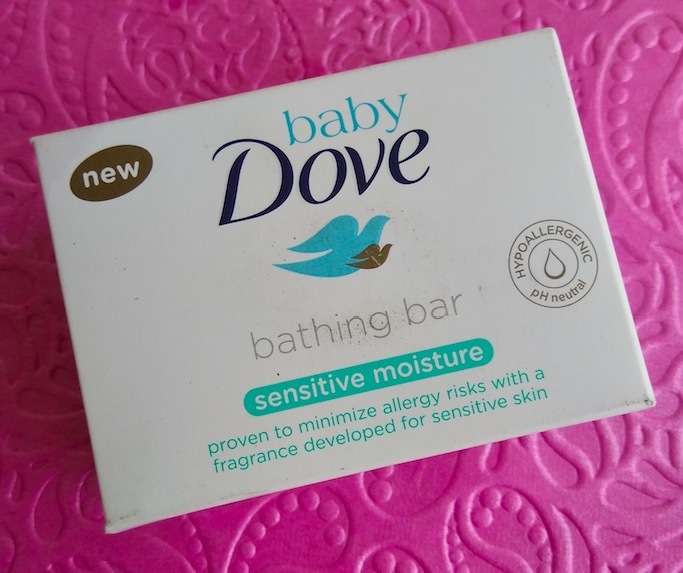 Hey everyone, today I’m going to review this newly launched Baby Dove Sensitive Moisture Bar. 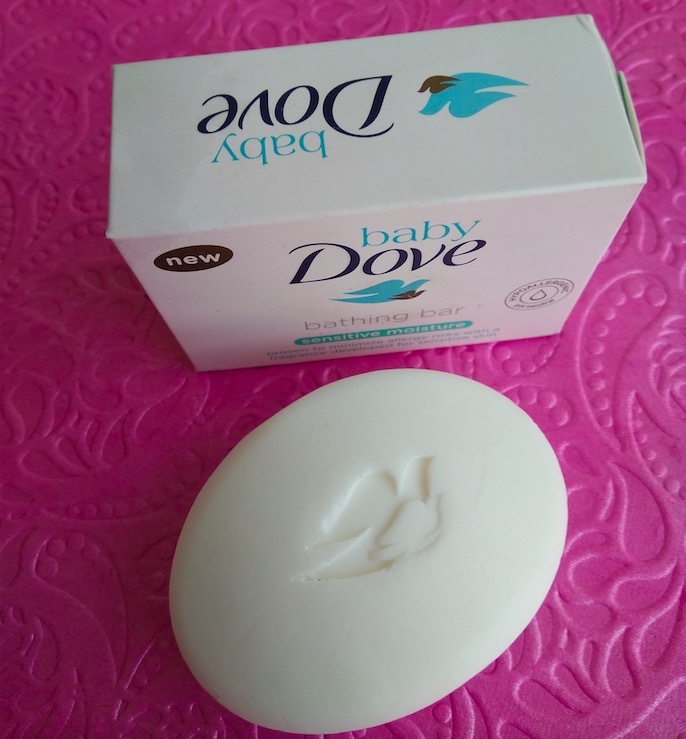 Dove, a well-known beauty brand launched ‘Baby Dove’ range in the Indian market a few weeks back. This new baby care collection includes 5 products – 2 Baby Bars, Baby Lotion, Diaper Rash Cream and Baby Wipes. You can read more about the entire range here. 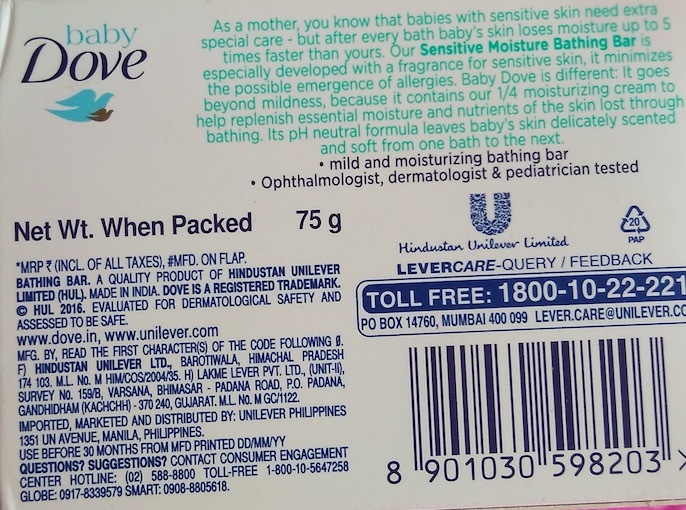 The price of the Baby Dove Sensitive Moisture Bar is Rs.27 for 50g and Rs.48 for 75g. My Experience: The Sensitive Moisture Bar comes in a standard Dove soap packaging, a white carton that contains all important information. 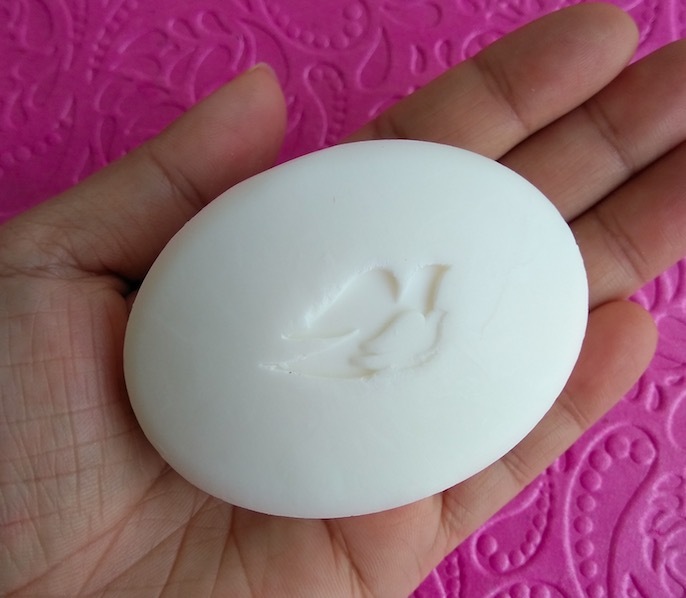 The oval-shaped soap comes in a milky white color and has 2 doves (mamma dove & baby dove :) ) engraved on it. 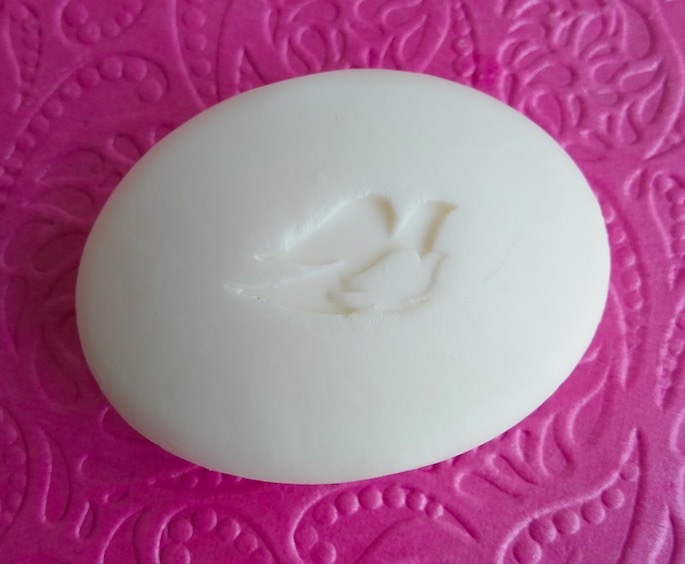 The soap forms a rich lather and cleans the baby skin very well. It gently removes oil and other impurities from the baby skin & hair and can be washed off easily without leaving any residue. It comes with a mild sweet scent which is quite pleasant and doesn’t irritate the little babies. I have been using this soap for my 7 months old girl for 2 weeks now and really liked its results. It cleanses nicely without drying my baby’s skin which is very important especially during these days when the weather is becoming colder day by day. I usually use Baby Dove Lotion after giving her bath to keep her skin hydrated throughout the day. The sensitive moisture soap is formulated with ¼ moisturizing cream that makes it more nourishing than any other baby soap bar. 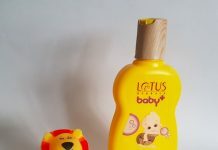 It gently cleanses the baby skin & hair leaving the skin soft, smooth and moisturized. 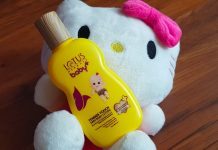 It is extra-mild and can be used even on delicate newborn skin. It comes with a soft fragrance that minimizes the risk of allergies. Baby Dove soap is ophthalmologist, dermatologist, and pediatrician tested. 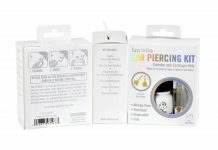 It is pH neutral and hypoallergenic, which helps to minimize the possible chance of skin allergies. Thera are two soap options available, a Rich Moisture Bar and a Sensitive Moisture Baby Bar to take extra special care of babies with sensitive skin. Available in two sizes 50g and 75g. Easily available at local departmental stores and also online at Amazon.in. It might not be enough moisturizing if the baby’s skin is extremely dry or flaky. In that case, I recommend using Cetaphil moisturizing syndet bar. Overall I really liked the Baby Dove Sensitive Moisture Bar as it cleanses the baby skin & hair well without ripping off skin moisture. 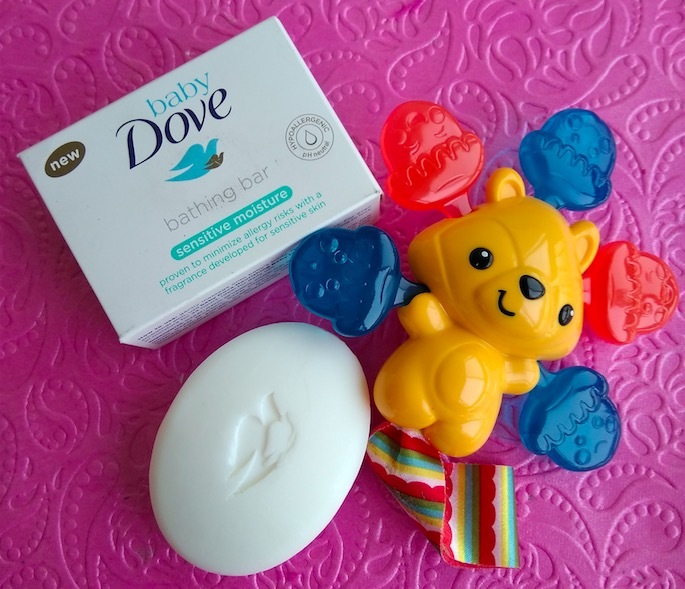 I found that Baby Dove soap performed better than Chicco soap when it comes to moisturizing the skin. I would love to buy it again and will definitely recommend it to all new mothers out there. Recommended! I’ve not used this one till now…..I’ve been using Himalaya baby products!! I’m gonna give this a try soon!! Thanks Rakhi for your genuine reviews!! are you on FB ?